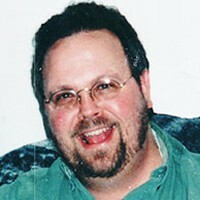 Rasmussen, David "Dave" Keith 55 years old passed away on February 10, 2019 at his home in Burnsville, Minnesota. Funeral services will be held 1:00 pm on Saturday March 2nd at Agape Fellowship Church in Marshall, MN. Visitation from 10:30 am to 12:30 pm. Dave was born in Slayton, MN to Cherry and Richard Rasmussen on December 21, 1963. Dave is preceded in death by mother and father. Dave is survived by Sister Judith Thomssen of Lake Benton, MN: Brother Steven of Marshall, MN: Brother James of Lakeville, MN: Sister Kathleen Formo of St. Cloud, MN and Brother Thomas of Sioux Falls, SD.